Hydrangeas are an excellent flowering shrub for the landscape. Make use of their flowers for decorations around the home as well. Here’s a quick how-to make a wreath with hydrangea flowers. 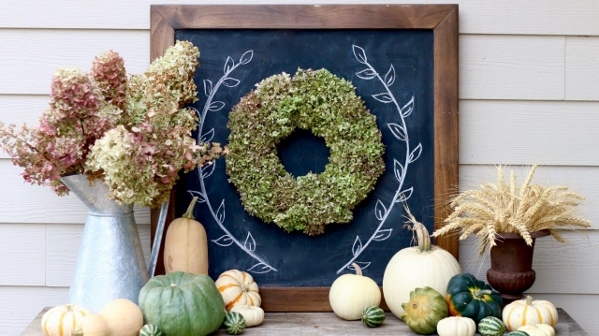 The result is a stylish wreath you can use indoors or out as a fall decoration.